Meaning to live a carefree life of ease, comfort, or prosperity.... right now, things just don't make much sense... normally, I'd probably describe how I wanted to find a certain composition for this photo. But, so much in the last day... 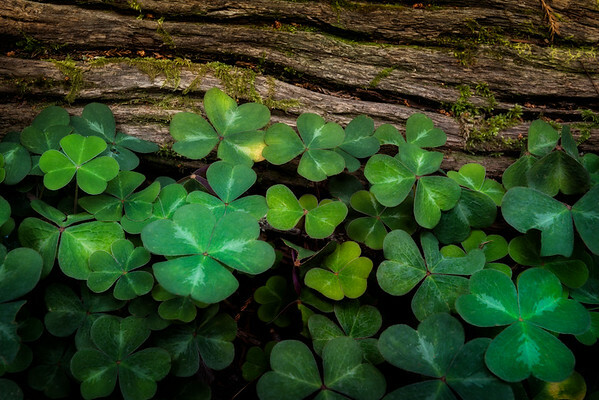 I'd rather just think about some clovers growing next to an old redwood log in the forest.